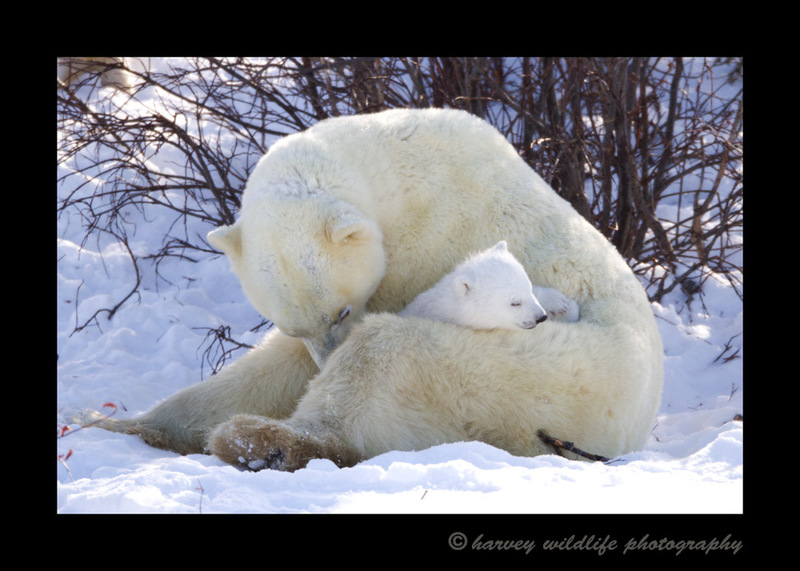 Mom and One Cub: Polar Bear moms and cubs near Churchill, Canada. This mother has twins. The second cub is resting against her moms stomach.